Design of Concrete Structures has been completely revised using the newly released 2014 American Concrete Institute (ACI) Building Code. 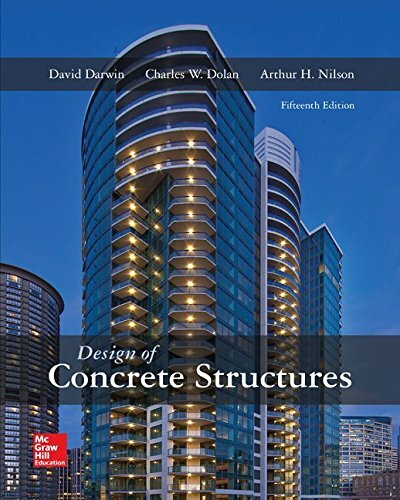 This new edition has the same dual objectives as the previous editions: first to establish a firm understanding of the behavior of structural concrete, then to develop proficiency in the methods used in current design practice. Every chapter has been updated to account for the reorganization of the 2014 American Concrete Institute Building Code. A new chapter on anchoring to concrete is included, as well as a chapter on walls, doubling the coverage and adding design examples. Diaphragms are included for the first time, as well as updated coverage of seismic design. Also included in this edition is the modified compression field theory method of shear design presented in the 2012 edition of the American Association of State Highway and Transportation Officials LRFD Bridge Design Specifications.